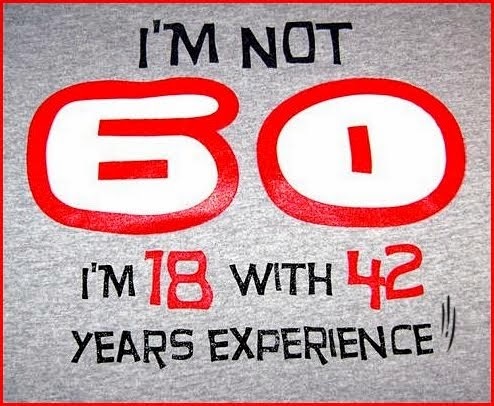 AGING DISGRACEFULLY: Happy Birthday to Me! My birthday AND I get a long weekend! Not many people can say that. There's buzz around me about cheesecakes at work? And a road trip tomorrow with cake and sunshine? And a weekend with festive foods and possibly a lot of lying around the living room with 2 sweet teens watching a Harry Potter TV marathon? Well really, I'm an adult now. So, any kind of celebrating can happen, right? As long as it's legal and in good taste! AND next month, I get my first government CPP cheque; don't know how much, but it's payback time Revenue Canada! Happy Birthday ! Hope you do have a wonderful weekend! Happy Birthday. Enjoy that extra money. Legal and in good taste? Where's the fun in that? The happiest of birthdays to "18 with 42 years experience," from California's Oldest Teenager; many, many happy returns! Happy Birthday from a fellow Canadian collecting her CPP for 2 years now!! HAPPY BIRTHDAY. may you have MANY more. ENJOY! Did you say cheesecake? Save some for me! Happy 60th to you Sandy. Have a fun weekend celebrating. I passed that milestone a few years ago and just applied for that cheque. LOL It will be pocket change I'm sure! Blessings. I hope you enjoy your Birthday and long weekend.